Medicago cupaniana Guss., Medicago lupulina var. cupaniana (Guss.) Boiss. 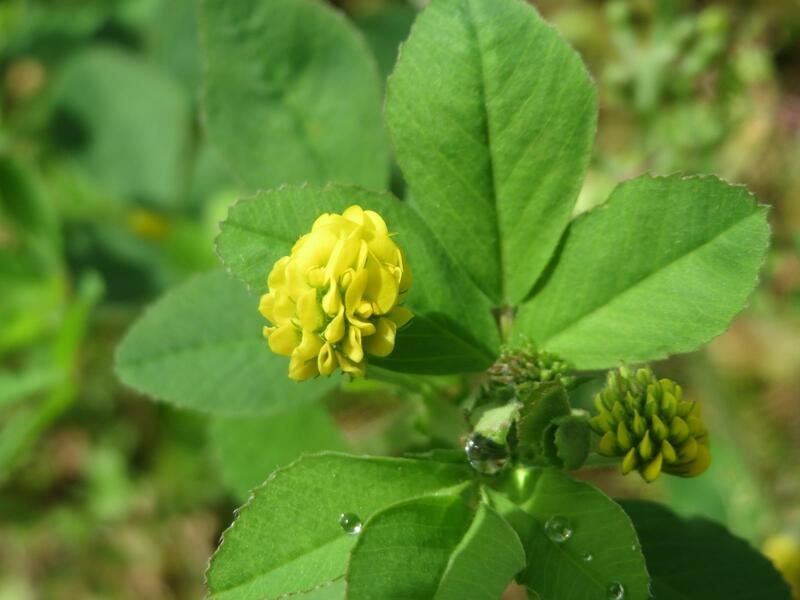 Black medic (Medicago lupulina L.) is a creeping annual legume from temperate and warm regions. A protein-rich fodder closely related to alfalfa, it is used as a forage crop for its good nutritive value and palatability. Medicago lupulina is an annual or biennial semi-erect clover. It can reach 15-80 cm high and is shallow-taprooted. The stems develop from adventitious roots, which have a trailing habit at the first stages of growth and become erect as they mature. Trails may be up to 60-70 cm long (Patton et al., 2014). The leaves are compound and trifoliolate. The leaflets are oval-shaped, hairy, toothed towards the tip, ending in a short point. The inflorescence is a cluster of small (2-4-8 mm) papillonaceous flowers, yellow in colour. The inflorescences remind of hop, hence the name "hop clover" sometimed used for it. The infrutescence is made of hairy, flat, kidney-shaped pods. The one-seeded pods are indehiscent. They become hard at maturity and black in colour (Goujon, 2017; Duke, 1981). Like other medics, black medic yields a high amount of biomass and is an N-fixing legume. These traits are valuable in long rotations of forages and cash crops as well as in mixtures for cover cropping (Sanders et al., 2011). Black medic is palatable to livestock and has fair forage value. However, black medic is not a perennial source of pasture forage (MSUE, 2017). Methanolic extracts of black medic leaves were reported to have a high bacterial activity (against Staphylococcus aureus), anti-fungal activity (against Candida spp.) and anti-tumour activity (Baloch et al., 2013). Medicago lupulina originated from the Mediterranean Basin, central and southern Europe, North Africa, southern Ethiopia, Kenya and Tanzania. It has been introduced into North, Central and South America, into Australia and elsewhere (Ecocrop, 2017). Black medic is found in moist, open habitats like steppe meadows, along wood edges, in irrigated fields, and sometimes as a weed in fallow fields, gardens, and waste places (Ecocrop, 2017; Sanders et al., 2011). It was first cultivated in the UK in the 17th century, and in Germany in the 19th century (Hanelt et al., 2001). Black medic can grow from sea level up to an altitude of 2900 m in East Africa and up to 3600 m in the Himalayas (Ecocrop, 2017). It grows in places where mean annual temperature is between 5.7°C and 22.5°C and annual rainfall is about 500-800 mm. However, it is tolerant of a much broader annual range of rainfall: 310 -1710 mm (Duke, 1981). Black medic does better on light, well-drained reasonably fertile soils. It is not tolerant of acidic, alkaline, dewy heavy soils. It responds positively to the addition of lime (Duke, 1981). Black medic does particularly well on moist soils, though excessive field moisture early in the season can significantly reduce medic stands. Black medic is sensitive to waterlogging and to salinity (Duke, 1981). It has relatively lower tolerance of drought than other legumes, such as birdfoot trefoil or sainfoin. Black medic cannot stand shade (Ecocrop, 2017; Sanders et al., 2011; Dzyubenko et al., 2008). Black medic yields range from 2.5 to 3.7 t/ha. 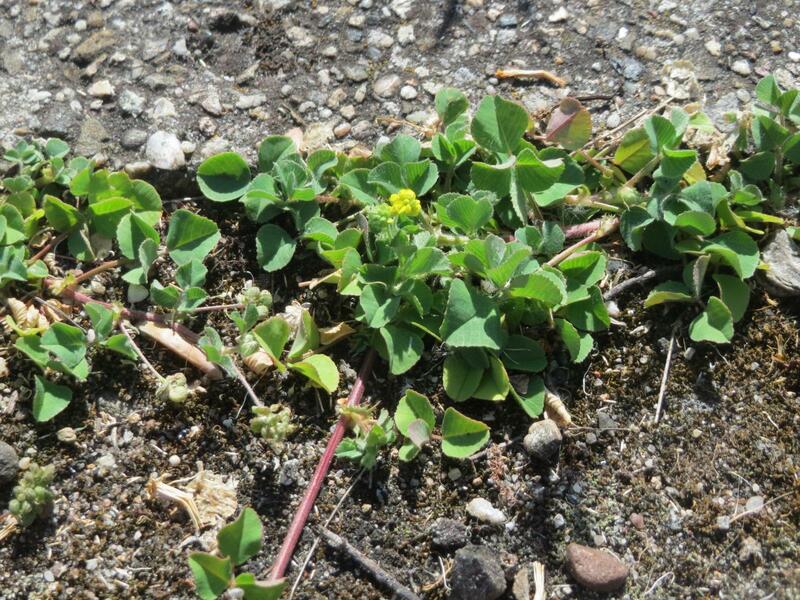 In Mississippi, Medicago species (medics) are widely used in agriculture as they can produce almost as much biomass and N as clovers (MSUE, 2017). Seed productivity is about 300-500 kg/ha (Dzyubenko et al., 2008). Black medic is usually sown in spring and grows during fall. Seeds should be broadcast at a rate of 10-15 kg/ha on unprepared seedbed, if needed (Gomm, 1974). Black medic is mainly sown for pasture (Ecocrop, 2017). 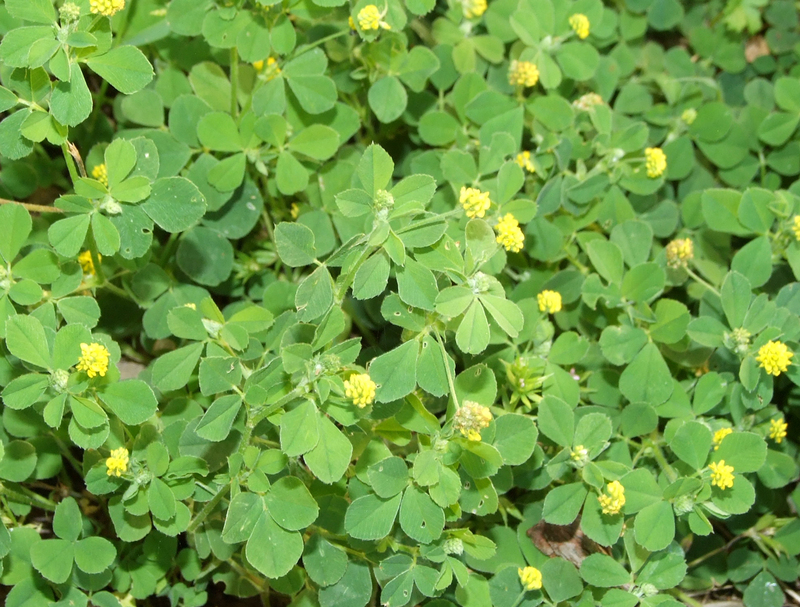 It mixes well with grasses or other clovers to make good quality forage (Duke, 1981). It can be oversown in a maize crop. Mixtures of black medic and red clover are not recommended (Brinton, 1989 cited by UC SAREP, 2006). In the USA, it flowers from May to September (Duke, 1981). Plants reseed themselves and maintain the stand. However, because of their hardseedness, they can take several years to germinate. They are thus well suited for long rotations of forages and cash crops (Ecocrop, 2017). In Russia, black medic was reported to have good regrowth after cutting, tolerance to trampling and grazing, and long vegetative periods through early frosts (Dzyubenko et al., 2008). Black medic has long been used in orchards and vineyards for soil coverage (Brinton, 1989 cited by UC SAREP, 2006). It helps preserving the organic content and N status of the soil thanks to its ability to fix nitrogen. 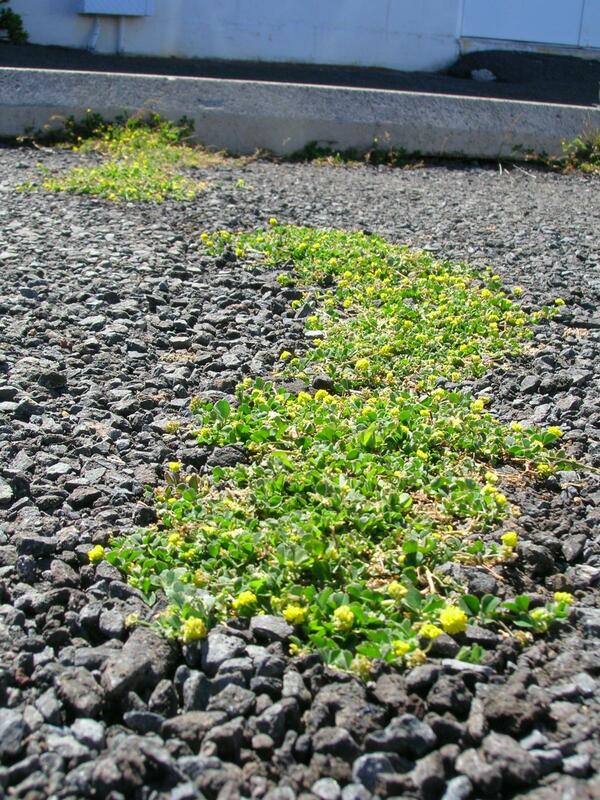 It is used to preserve soil moisture and prevent weed development thanks to its quick spring regrowth (Clark, 2007). In Austria, it has been referred to as a soil stabilizer of highway borders (Hanelt et al., 2001). Black medic can be used for the remediation of soils containing high levels of heavy metals such as lead (Pb) as it can accumulate high amounts of lead in its roots without translocating it to its aerial parts (Amer et al., 2013). Like other legumes, black medic has a high protein content in the 15-25% DM range and a relatively low fibre content (NDF 38 ± 6% DM, ADF ± 5%, lignin 4.5 ± 0.8% DM). The variations observed depend on cultivar, geographic and climatic conditions (Zhu et al., 1996; Muir et al., 2003; Koukoura et al., 2009; Kuechenmeister et al., 2013). Black medic can cause bloat if over-consumed (MSUE, 2017). Aerial parts of black medic contain flavonoids, saponins and phenolics with hemolytic and antinutritional activities for monogastric animals (Gorski et al., 1984; Burda et al., 1988; Kicel et al., 2015). Flavonoids and saponins contents are particularly high (3.5% DM) in the top parts and seeds (Gorski et al., 1984). Saponins content is at least twice higher in very young germinated seeds (Gorski et al., 1984). Total phenolic content is also high with 162.4 g/kg DM (Kicel et al., 2015). 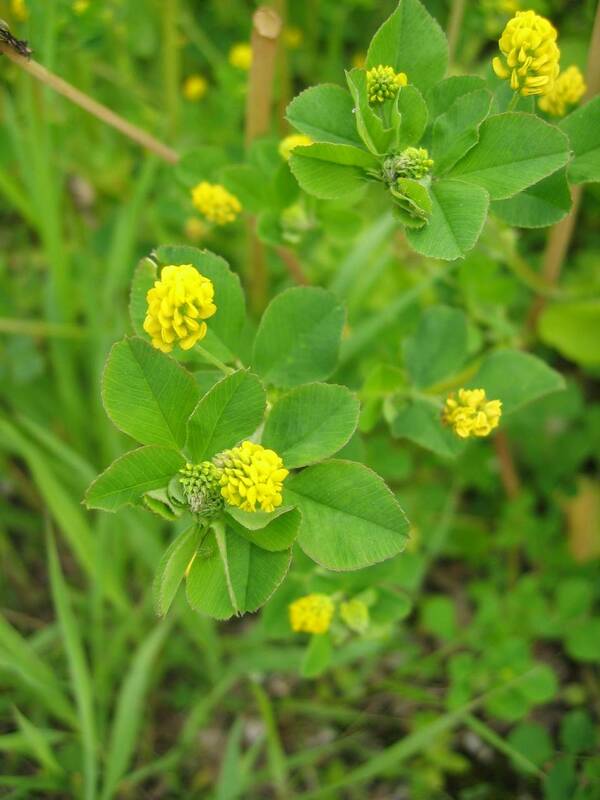 Like alfalfa and other legumes, black medic contains relatively high coumestrol content (32 mg/kg DM) which is known to have estrogenic activity (Taujenis et al., 2016). Because of the flavonoid and coumestrol contents it is recommended to limit the access of pure black medic culture to ruminant females, particularly around the reproduction period and during pregnancy (Taujenis et al., 2016). The same cautions applying for alfalfa can be addressed to black medic. Even though Medicago lupulina is used for fodder, information about its value for ruminants is almost inexistant except for limited observations on intake. It is grazed by sheep, but is not very palatable to cattle (Turkington et al., 1979). 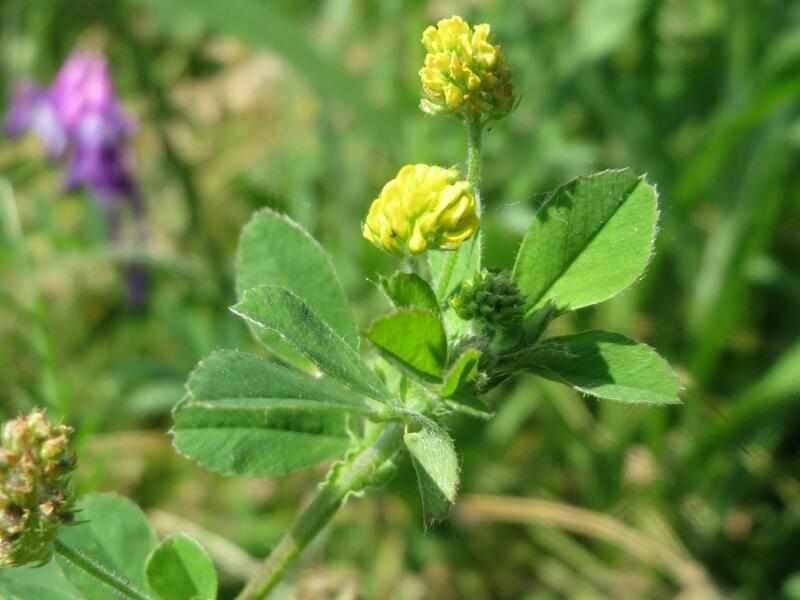 Medicago lupulina is one of the forages traditionally used in Europe to feed rabbits in familial rabbitries (Dubourg, 1978; Aguirre et al., 2000). This source of protein and fibre is included in the botanic composition of the meadows consumed by rabbits in recent organic production systems with mobile cages (Leroyer et al., 2009). Despite this traditional and current use of black medic in rabbit feeding, no experimental study seems available in the international literature to assess the practical nutritive value and conditions of use. However, the practical recommendation is to use Medicago lupulina in the same manner as alfalfa, fresh or as hay. According to its chemical composition, the calculated digestible energy content is about 9-11 MJ DE/kg DM, and its protein digestibility could be higher than 70% (Lebas, 2016). Duke, J. A., 1981. Handbook of legumes of world economic importance. Plenum Press, New York, USA, 345 p.